Pictured right is Cruglwyd Tango who sold for £2,000 at the Brightwells Cob Sales. Wishing his new owners much success with him. 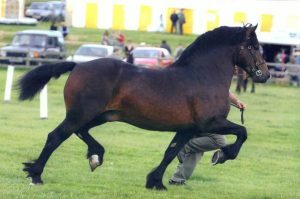 Cruglwyd Welsh Cobs was established in 1982 with the purchase of the filly foal Llanarth Mefys (Llanarth Flying Comet x Llanarth Morfydd). Llanarth Mefys went on to become the mother of the foundation mare Cruglwyd Morwena, sired by Derwen Replica. Sadly Llanarth Mefys died at the young age of 10 years, but her spirit lives on in her descendents: Cruglwyd Siani Fwyn, Cryglwyd Guto, as well as the “M” line of females at the stud. It was with Cruglwyd Morwena that the bug for showing really struck. 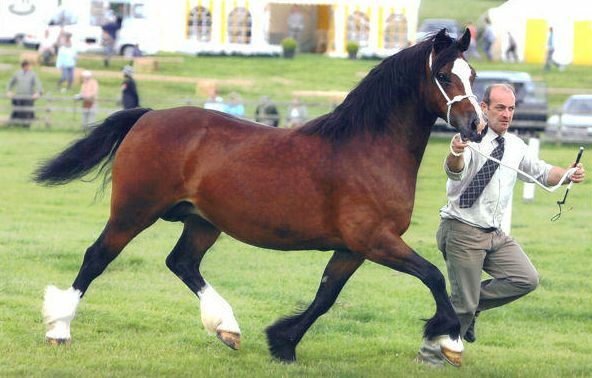 At her first outing as a yearling, at Lampeter Stallion show, she came second in a very strong class. This was followed by a third at the Royal Welsh. 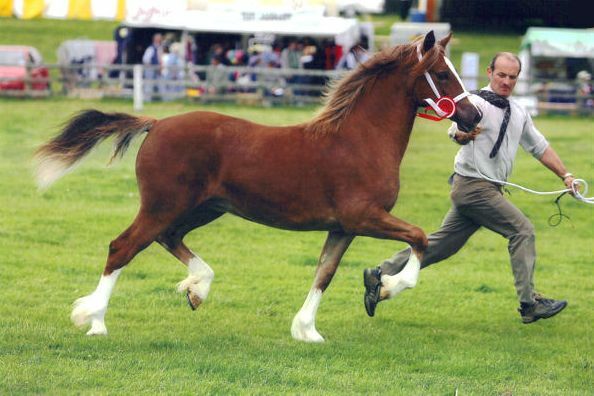 The following year as a two year old Morwena was back on the show circuit and was first and filly champion at Lampeter and fourth at the Royal Welsh, with a few first and young stock champions at local and county shows throughout the season. One of Morwena’s most noted progeny was Cruglwyd Calon Lan by Ebbw Victor who was second at Lampeter and third at Glanusk as a three year old. Calon Lan (pictured right) was the Cruglwyd stud stallion for a while, but was purchased by Marion Bohn in 2010 and now resides in Germany. Elin’s full sister Enid also produced a Lampeter filly champion called Cruglwyd Siriol who was sold to my brother Kevin as a foal. 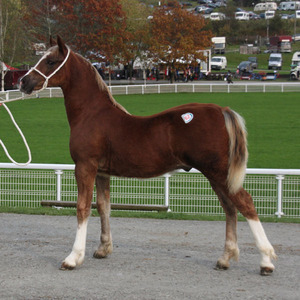 Siriol’s full brother Cruglwyd Dazzler was sold at Builth Cob sales and was top price colt foal that year selling for £2,800. Initailly leased, before being bought, the arrival of Coednewydd Comet to the stud in 2004 proved a successful outcross, with 9 females and 1 male from this sire being retained at the Stud. In 2006 Ella produced a colt by Comet named Cruglwyd Magner,who was first and yearling champion at Lampeter and third at the Royal Welsh. 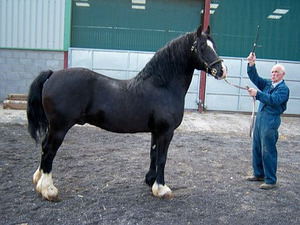 Magner was sold at Builth sales as a ridden three year old gelding for £2,750 and his full brother Cruglwyd Harvey was also sold as a foal for £2,400. 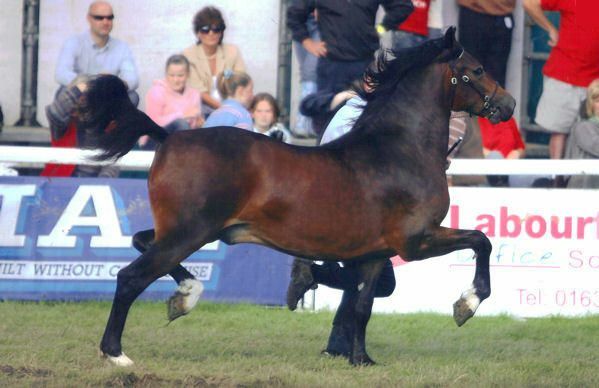 The same year Magner was third at the Royal Welsh, Elin’s yearling filly by Comet, Cruglwyd Seren Arian was also placed at the Royal Welsh – coming second . 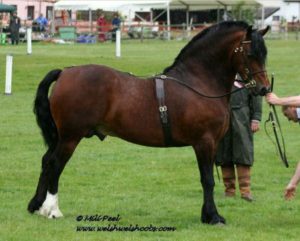 Another son, Cruglwyd Guto (out of Magdalen), was retained at stud and was a winner of a silver medal at the 2011 Cothi Bridge Show, he now stands at stud along with Powysvalley Viscount (Fronarth Victor x Derwen Tonc). Cruglwyd Welsh Cobs has been very fortunate to lease Tymor The Tramp from the Tymor Stud in 2011 and look forward to the arrival of his foals in 2012. Cruglwyd Welsh Cobs looks forward to an equally successful future, as breeders and exhibitors of Section D Welsh Cobs and welcomes visitors to the stud, but please phone first to ensure Meurig is available to show you around.